Last week, we received the extraordinary news that Ringling Bros. plans to retire the elephants from its traveling circus and place them at its elephant care facility in Florida. Given the tremendously favorable response to this action from the public and the press, you might think that legislation to stem the sale of ivory and protect elephants in the wild would be a piece of cake. 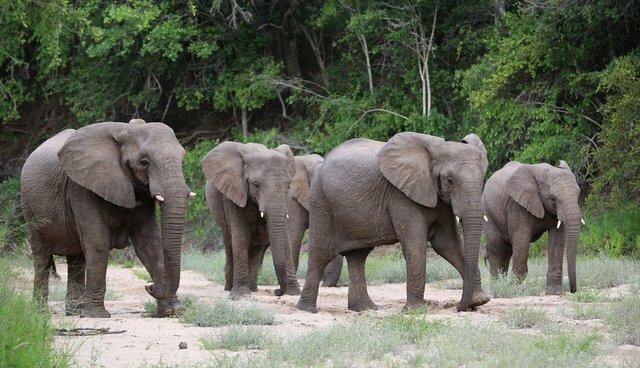 After all, the poaching crisis has claimed the lives of 100,000 African elephants from 2010 to 2012. But some lawmakers are being bamboozled by the rhetoric of a new front group trying to stop anti-poaching legislation at the state and federal level. Last year, New Jersey and New York passed legislation severely restricting trade in ivory or rhino horns, helping to dry up the demand for poached wildlife products. This year, similar bills have been introduced in 12 other states, including major ivory-selling markets in California and Hawaii. At the federal level, the Department of the Interior, the State Department, and other agencies have made combatting wildlife trafficking a top priority for the Obama administration. In the next couple of months, the US Fish and Wildlife Service (FWS) is expected to release a rule that would add much needed restrictions to the commercial ivory trade. As a way to publicize the plight of elephants, the FWS in 2013 destroyed six tons of confiscated ivory before a crowd of journalists. China, the world's largest market for ivory, followed suit, crushing six tons of ivory it had confiscated. This month, Kenya set fire to 15 metric tons of ivory to discourage poaching – knowing full well that the destruction of elephants will destroy its enormous wildlife tourism industry. But now the Elephant Protection Association, a front group made up of ivory traders and backers associated with the National Rifle Association, has emerged to fight humane efforts at the state and federal levels. Despite hollow claims that it detests poaching, the group is fighting to maintain the current allowances for the trade in ivory, so its financial backers can continue to sell ivory trinkets, jewelry, firearms, and other vanity items. The group hardly seems troubled that elephant scientists and experts, conservationists, and enforcement officials have demonstrated that the legal trade for ivory is providing cover for the illegal trade. The FWS has said, "By significantly restricting ivory trade in the United States, it will be more difficult to launder illegal ivory into the market and thus reduce the threat of poaching to imperiled elephant populations." It's remarkable that, as we see the mass slaughter of the largest land mammals on the Earth, these antique firearms dealers, trinket peddlers, and others are getting any traction with lawmakers. But they are. Several of the state bills have already been blocked. And at the federal level, Rep. Don Young (R-Alaska) has introduced legislation to deny authority to the FWS to work on a rule to restrict the ivory trade any further. Right-thinking people might consider the enactment of anti-ivory trade bills or rules as a no-brainer. But resistance to this legislation has been fierce, and it's time for good-hearted people to weigh in and remind lawmakers and the broader public of the terrible toll that this trade is taking on elephants. When the elephants are gone from the wild, Africa will lose billions in tourism revenue a year, since these animals are perhaps the greatest natural and economic treasure these nations have. It's been exciting to see moves from China to restrict some of the trade. The question is, will the United States continue to be a conservation leader, or will the influence of profit-making ivory dealers prompt enough politicians to gum up these important bills and block their enactment?